Hong Kong’s new competition law came into full effect on 14 December 2015 and now applies to all businesses in Hong Kong. Penalties for failing to comply can be severe. Among other things, improper information-sharing and collaboration between competitors are now in the spotlight. 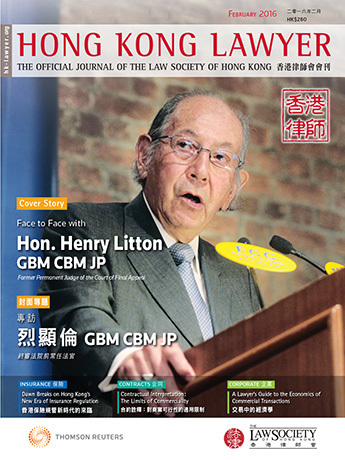 Hong Kong’s many trade associations are taking note. A number have stopped publishing recommended prices for members amid concerns that the practice breaches the new law. The moves are a clear sign that the law is already impacting Hong Kong’s economy. Hong Kong Society of Notaries: ceased publishing recommended minimum charges for notarial services. Precious Metals Associations: ceased publishing reference prices for gold and platinum on their websites. Travel Industry Council: directed that its members may now set their own handling fees for cancelling outbound package tours for reasons beyond their control. It has also stopped providing members with a list of recommended package tour service charges. The Competition Commission has advised trade associations not to recommend or require that members set particular prices for their products or particular fees for their services. The advice is set out in the Commission’s “Competition Ordinance and Trade Associations” publication. The Commission considers that price recommendations or fee scales of a trade association will likely be assessed as having the object of harming competition and may amount to prohibited price fixing. Some trade associations are reportedly considering applying to the Commission for a block exemption order in relation to the practice. The Hong Kong Institute of Architects, meanwhile, has continued to publish a scale of minimum remuneration for architectural services in its Code of Professional Conduct. The Institute is exempt from the conduct rules under the Competition Ordinance (Cap. 619) because it is a statutory body. Hong Kong Association of Banks has also suspended sections of its Code of Banking Practice in light of the new competition law. The suspended sections include those stating that financial institutions should not: (a) charge fees for the termination of banking services under specified conditions; (b) impose administrative charges for handling cash deposits in Hong Kong dollars, except those in large quantities; (c) charge extortionate interest rates; or (d) levy annual fees on credit cards that are not activated by cardholders. A range of other principles were also suspended as part of this review, with effect from 11 December 2015.